Fatigue, weight gain, and hot flashes? Read on as we chat with a local expert on natural hormone replacement who just released an exciting new book! Weight gain, hot flashes, low libido, decreased energy, and skin that’s lost its sparkle are all associated with getting older. But one local expert says they don’t have to be. Dr. Magdalena Kerschner, a board certified anesthesiologist, interventional pain expert and the Owner of Montgomery-based Victory Wellness & Medspa, is now the author of “Get Your Mojo Back,” a book she released last week. Kerschner says that her inspiration to write her book came from her patients and friends who are always asking her for information and stories on lost mojo. “I feel that through the written word I can deliver hope to many more people that there is a solution to our problems of advancing age and we can continue to thrive and live stimulating and productive lives well into advancing age,” says Kerschner. In the book, Kerschner gives readers the opportunity to identify with her own stories and the stories of other women who are middle-aged and their challenges to know that they’re not alone in their struggles. The book provides basic, evidence-based information about bioidentical hormones and how they function in our body while also offering a list of the pros and cons of hormone replacement therapy as well as the difference between natural and synthetic hormones. What separates Kerschner’s book from others written about hormones is that she herself has experienced the symptoms explained. To purchase “Get Your Mojo Back,” click here. You can learn more about Kerschner, her book, and her practice at https://victorywellness.com/ or by calling 513-936-3065. Rooted in empowering female entrepreneurs, a Columbus-based movement is spreading its roots to the Queen City. Read in for all the inner-diva-inspiring details. The Diva Movement strives to empower other female entrepreneurs and leaders. Behind every successful woman is a group of women who are cheering her on. In an effort to provide women with a supportive and inspiring community of fellow leaders and entrepreneurs, The Diva Movement was created. 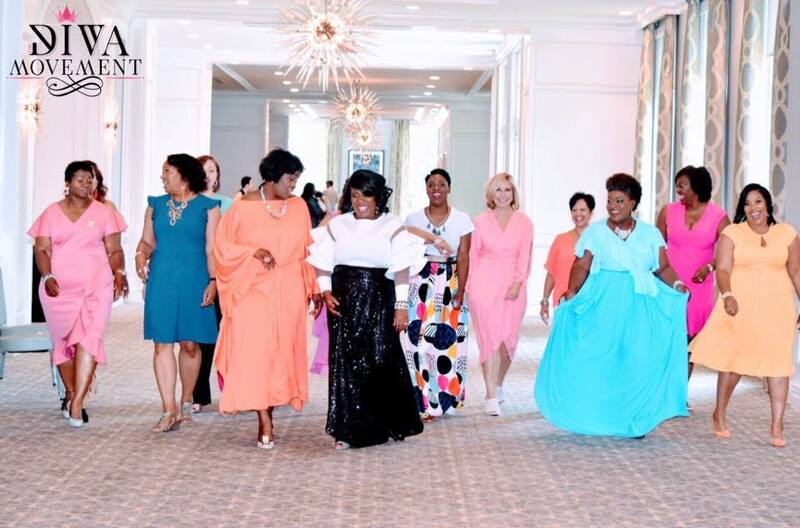 In an effort to help build the dreams of the women around her, Banks launched The Diva Movement, which in 2018 served more than 600 women at 13 Diva Movement events. The organization also trained 50 female entrepreneurs in the workshop series for small business owners, mentored 75 female entrepreneurs, reached 18,000 followers in 16 countries on social media, and served 63 girls in the leadership session. “What started as a book club with 15 people has now grown into an organization with more than 300 members,” adds Banks. Every week there are women who join The Diva Movement and are sharing their stories of how they’ve reached the same point in their lives that Banks did – they want to pursue their own dreams and build on their own passions. “They are tired of playing small, tired of their voices not being heard, tired of not having a seat at the table, and tired of not believing that their vision for their lives matters,” says Banks. 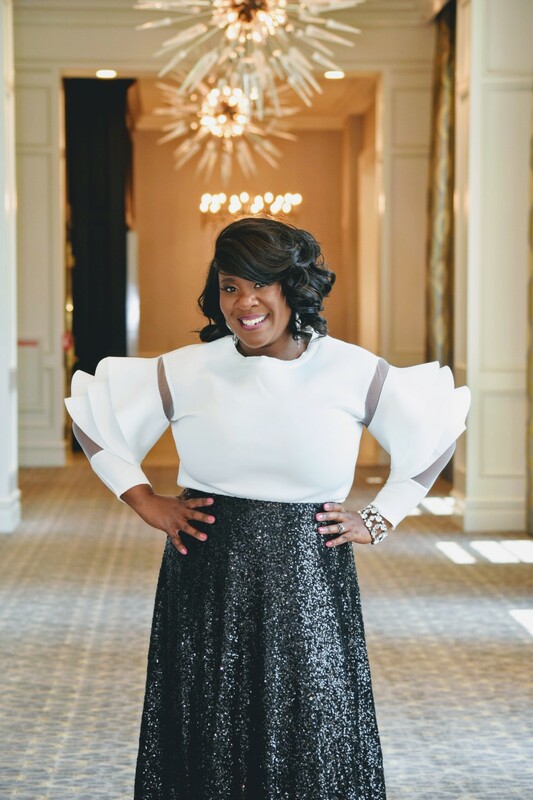 The main mission behind The Diva Movement was to create an organization that understands the challenges of women who were running a business, raising a family, and working a full-time job. There are three levels of membership available with The Diva Movement. Membership is available for individuals and entrepreneurs as well as small business group memberships for companies and organizations. According to Banks, the uniqueness behind The Diva Movement is its design to meet the needs of women who are working a full-time job and running a business. To give women a glimpse into what The Diva Movement can do for them, the organization is hosting The 2019 Women’s Wealth and Wellness Expo on Saturday, January 26, at The Ohio Deaf Alumni Association Center in Westerville. The history of The Expo goes back to 2014 when Banks was coming out of her divorce. She found herself as the single mom of four boys and needed to rebuild herself – emotionally, physically, and financially. Banks says that new chapters of The Diva Movement are opening in both Dayton and Cincinnati this year. “We are working with women in a handful of countries to collaborate on some Diva Movement workshops, initiatives, and events,” adds Banks. To learn more about The Diva Movement, visit www.thedivamovement.org. You can also check them out on Facebook and Instagram. ‘Tis the season for New Year’s resolutions to get fit and lose weight. Read on as we chat with the owner of a West Side-based woman-owned fitness boutique who says customization is the secret to success when it comes to wellness programs. Read on for all the inspiring details. West Side Pilates and Fitness customizes each class to the individual needs of its clients. The New Year means lots of resolutions to get in shape, lose weight, and become a better you. To help you get on that path is West Side Pilates and Fitness, a fitness boutique that offers a variety of wellness programs ranging from group and private classic pilates reformer sessions to Ballet Barre, spinning classes, and more. “West Side Pilates and Fitness is an ongoing small community of support for the myriad of clients where strong bonds and connections have been formed while achieving and maintaining personal health and fitness goals in a more private, yet structured environment,” explains West Side Pilates and Fitness Owner Kimberly Eckstein. Eckstein says she was inspired to launch West Side Pilates and Fitness when she saw that there was a serious need for structured, uniquely personalized classes for anyone and everyone requiring a formal program that was not only effective but capable of meeting the needs of those with special health concerns. Eckstein is a certified personal trainer, spinning, pilates, and group exercise instructor and has an interest in addressing special populations and analyzing movement with correction. Her background goes back to when she was 10 years old teaching tumbling classes. 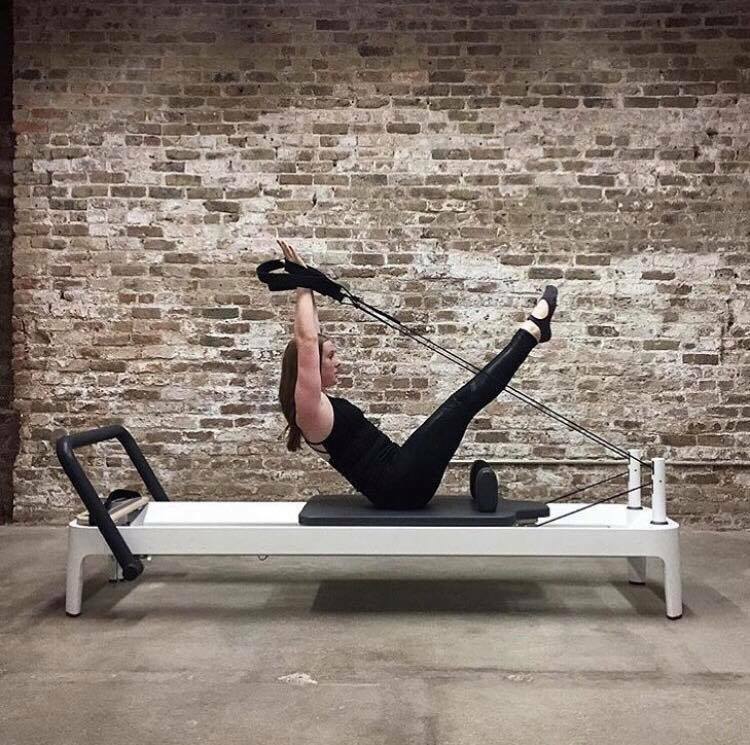 “My vision behind West Side Pilates and Fitness was to offer small group and private sessions to the public with a focus on specific, goal-driven programming and to create a non-threatening, non-judgemental private zen wellness environment,” she says. West Side Pilates and Fitness also offers Pilates for Pink, a class that focuses on and addresses the needs of clients who are post breast cancer treatment. “Classes and sessions are adjusted to address and focus on the needs of each client individually, regardless of physical conditions and goals,” she adds. When clients attend West Side Pilates and Fitness, they’ll find that the studio focuses on the individual needs of the clients. Additionally, West Side Pilates and Fitness is a woman-owned, local business that Eckstein says is often referred to as one of Cincinnati’s best kept secrets. Throughout the year, and in the future, West Side Pilates and Fitness will continue to grow and evolve in order to suit the needs of clients. 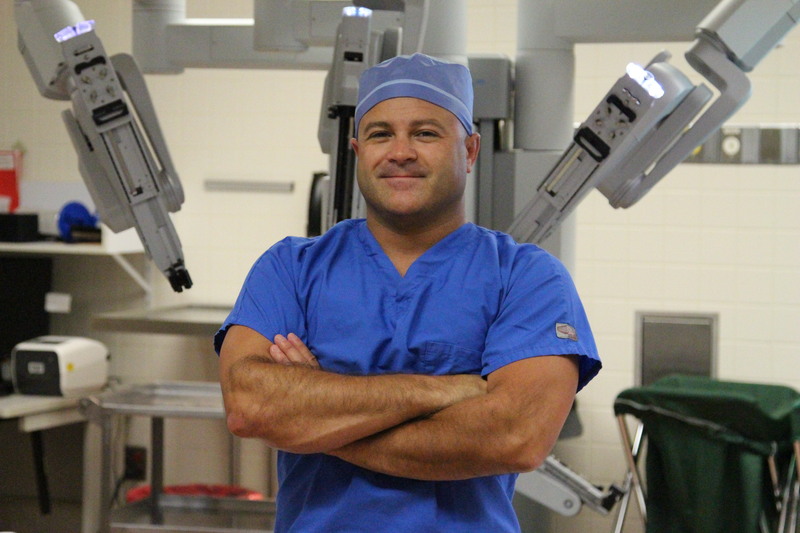 “We often offer new programming while still continuing to deliver the tried and true basics,” says Eckstein. “Our goal this year is to expand, thus offering an even wider variety of programming and services, while maintaining our small, private boutique fitness appeal. To learn more about West Side Pilates & Fitness, visit https://westsidepilates.org, call them at 513-885-4911, or send an email to pilateswestside@gmail.com. Don’t forget to follow along on Facebook<https://www.facebook.com/WestSidePilatesFitness/>. 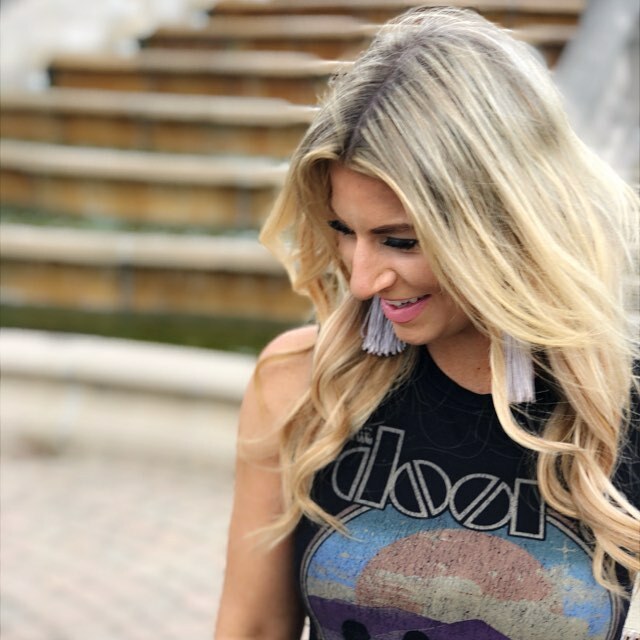 Rooted in faith and a desire to make the world a little brighter, one local lady decided to take the leap into her own apparel business. Read on to hear more about the positivity she’s weaving into the community one trendy thread at a time. At a time when it seems like the world is becoming more negative by the day, Whitley wanted to take her faith and spread it – one T-shirt at a time – through her business Blessed Attire. “Blessed Attire is a faith-based apparel and specialty items company featuring trendy men’s, women’s, and kid’s apparel as well as jewelry, signs, hats, and other items with more being added,” explains Whitley. The goal of the items sold by Blessed Attire is to spread positive messages to those who buy and see them while also starting the conversation of faith. Andrea Whitley is a lifelong Cincinnatian. She also has deep roots in her faith and what she believes in. Blessed Attire is owned by Andrea Whitley, alongside her husband and daughter. Blessed Attire offers faith-based apparel, jewelry, and accessories. Blessed Attire offers shirts and necklaces that say things like ‘just breathe’ and it helps someone breathe and calm a little – Whitley says that’s the kind of thing that keeps her going. All in all, Whitley says that the inspiration behind Blessed Attire is to let others know they are blessed and loved while also spreading positivity and faith to help make a difference in the world. When you shop Blessed Attire you will find men’s, women’s, and children’s apparel in a variety of sizes, colors, and styles. According to Whitley, some of the top selling pieces available from Blessed Attire include the hats and the women’s boutique styles. Because the store offers so many different items and designs, it can help customers to feel comfortable in what they select. Blessed Attire tries to keep prices fair and affordable for every size wallet. Most of the apparel items range from $22 to $40, hats run from $20 to $22 depending on the style, and the jewelry averages around $20. Aside from its passion for offering faith-based apparel, Blessed Attire also stands out in other ways. Additionally, the majority of items from Blessed Attire are original designs. Whitley says she creates a large majority of the designs and loves getting new ideas from customers. “I’m usually able to add a new design to the website within 48 hours,” she adds. You’ll be seeing a lot more of Blessed Attire in 2019, and Whitley says she couldn’t be more excited. You can find products for men, women, and children at Blessed Attire. Come January, Blessed Attire will be moving to a larger space within the Monarch Market Shoppes to Inspire, allowing the store to add new items and expand its line. Whitley will also be adding new athletic items in 2019 and plans on releasing new designs for all online apparel in February. A new blog and marketing plans are also in the works as Blessed Attire aims to have its products in 8 retail stores in the coming year. To learn more about Blessed Attire, visit www.blessedattire.com. You can also follow along on Facebook and Instagram, or check out the products in person at the Monarch Market Shoppes to Inspire inside the Dayton Mall. To get in contact with Whitley, you can call her at 513-532-1494 or send her an email at awhitley@blessedattire.com. After two life tragedies, this local cancer survivor and widow just released a memoir about her lessons learned through the process. Keep reading for her moving story and how it can inspire your greatness. Kimberly Johnson has endured the unthinkable. She battled and beat breast cancer only to suddenly and unexpectedly lose her husband Devan Johnson in a motorcycle accident two years later. The story of Johnson, and her husband, dates back to 2004, when the duo established and launched Incredible Creations Beauty & Barber Salon. Now, just over 2 years after losing her husband, Johnson is still the owner of the barber shop in Over-the-Rhine, which she considers to be part of her husband’s legacy. She’s also become an author with “Walking Without My Cane” and a motivational speaker – sharing her story of triumph and strength – and life enrichment coach through her business Unleashing The Power of Greatness. Johnson’s offerings as a life enrichment coach are all about helping others to see beyond where they are and how they view where they are by changing the lens they’re looking through. Johnson says that her belief in God is what motivates her to continue moving forward despite all that he’s thrown her way. Johnson also offers a podcast called “Unleashing The Power of Greatness” on iTunes, Google Play, and Soundcloud. “Listeners can expect to hear very candid, authentic, intimate conversations,” she says. “Imagine having company over and the setting is wine, cheese, snacks, and good conversation about a plethora of things. Additionally, Johnson will add speaking engagements and clients to a growing schedule of life enrichment coaching and starting a book tour. Johnson says that she is offering 20% off to anyone who would like to book sessions with her who mentions Cincy Chic. Learn more about her, her business, and her book at www.kimberlynicolejohnson.com. You can also follow along on Instagram. A local lady recently developed a retreat to bring conversation and companionship to female creative business owners. See how her inspiring idea can help you make 2019 your best year yet. Amanda Donaho wanted to find a way that brought together female creative business owners. As a photographer and business owner herself, she’s been attending events and creative workshops for years. But these gatherings were always full of people sitting in boardrooms and taking notes. That concept became Illuminare Retreat, an intimate, 3 day/2 night conversation with female creative business owners. Italian for “to light up,” Illuminare is designed to help attendees move past fears or mental roadblocks, and navigate to high places both personally and professionally. “The retreat focuses not just on strengthening each woman’s business, but her heart, too,” says Donaho. Guests to the event are pampered with an in-house cook preparing meals while also being treated to massages and yoga instruction. “Women walk away inspired, hearts and bellies full, and with a house full of new friends,” adds Donaho. Donaho recently hosted the first Illuminare Retreat that was completely sold out. “We sold out every spot rather quickly,” she says. Donaho says that because it was the first Illuminare Retreat, she wasn’t quite sure what to fully expect. In addition to food and pampering, guests at Illuminare Retreat also receive swag bags and feel taken care of the entire weekend. The goal of the Illuminare Retreat is to focus on intimacy and the whole person. The next Illuminare Retreat will be held at the Retreat House in Louisville August 9-11, 2019. To learn more about Illuminaire Retreat, visit www.illuminareretreat.com. There you can register for the next Retreat and take advantage of Early Bird pricing. You can also follow along on Instagram. 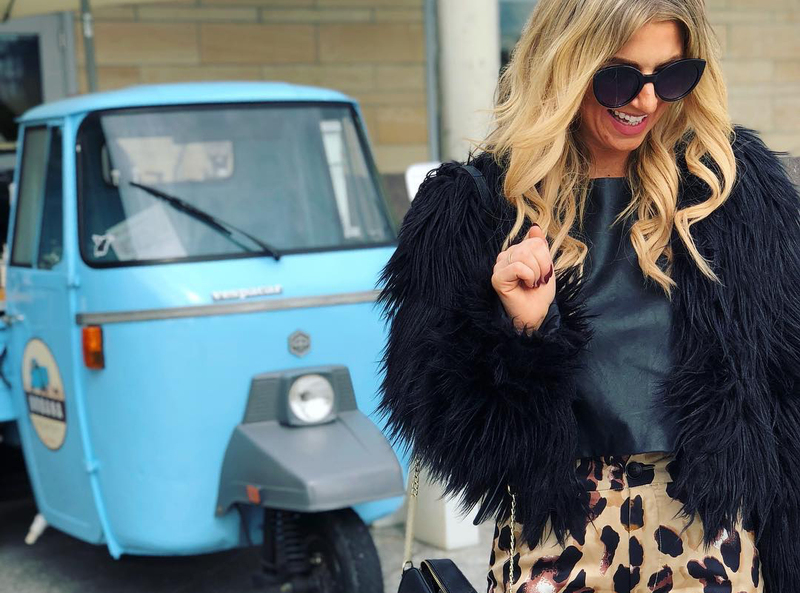 From running a business out of a spare bedroom to a fashion empire with stores in Wilmington and a second store now open in Hyde Park, a local lady is out to give shoppers trendy options without breaking the bank. Read on to learn more. Everyday Chic Boutique is a women’s clothing store with locations in Wilmington and Hyde Park. Since its opening in May 2014, Everyday Chic Boutique has seen nothing but growth. Karli Harris, the boss lady behind the business, first launched the business from a spare room in her house. After she graduated from college, Harris was working for Wright-Patt Credit Union in Dayton. While at work, she found that she wanted to feel trendy in her clothing option, but didn’t want to break the bank either. 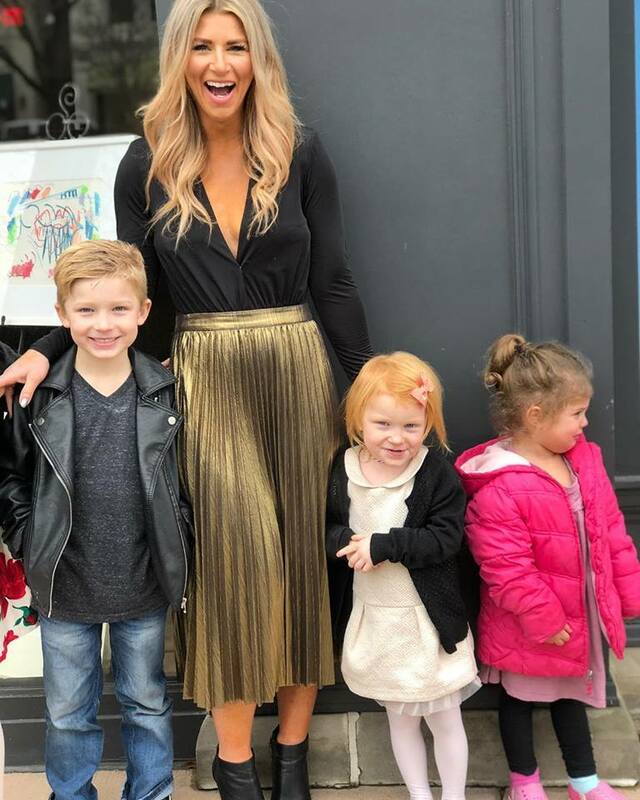 That’s when she came up with the idea for Everyday Chic Boutique, and now she’s opened a second location in Hyde Park Square at 2643 Erie Avenue. “I avoided strips or malls when pursuing a new area, so when I found the Square I instantly fell in love with its charm and history, and I knew this was the right spot for Everyday Chic Boutique,” she says. The new location opened its doors on November 17, with hours 7 days a week, Monday through Saturday from 10 am to 6 pm and Sunday from 11 am to 4 pm. Although they’re already open, Harris says she’s planning on a big celebration with a Grand Opening event in January. At Everyday Chic Boutique, you’ll find brands like Free People, Bed|Stu, and 7 For All Mankind among a wide selection of privately-labeled pieces. Harris says that what makes Everyday Chic Boutique different from other boutiques is that it aims to change the way women shop while also offering a personalized experience that she says she wasn’t getting at big box stores. “Fast forward 6 years and we’ve expanded our original store into a 2,500-square-foot location and are opening new storefronts,” she says. Harris personally selects every piece that hits the floor to ensure that customers are given a unique and high-quality selection to choose from when they shop at Everyday Chic Boutique. Price points for items at Everyday Chic Boutique range from $25 to $150 depending on the brand and season. The private labeled options are the bulk of the inventory, according to Harris, and range from $25 to $75. The store carries a wide selection of inventory, so there’s something for everyone. At Everyday Chic Boutique, the focus is on quality, fashionable options at an affordable price point. “We want you to be able to ‘guilt-free’ purchase an entire outfit when visiting our boutiques, an outfit that will last you multiple seasons,” adds Harris. Harris says that when you mention this article while shopping at any of the boutiques, you’ll get 15% off your first purchase through the end of the year. There’s also a VIP Text Club, which you can join by texting “ecbhydepark” to 51660 for deals throughout the year. To learn more about Everyday Chic Boutique, visit https://www.everydaychicboutique.com/. You can also check them out on Instagram and Facebook to learn more, see new arrivals, and check out specials and promotions. Need a little getaway that's not too far from home to melt away the stress? We took a trip up north for a peek inside one of the top-rated B&Bs in the country that's tucked away in the hills of Granville -- complete with pool, hot tub, hiking, wrap-around porch, wine and gourmet delights -- created by two retired road warriors who know a thing or two about what makes an excellent excursion. Imagine a getaway to an idyllic bed and breakfast that offers breathtaking views of the rolling hills and countryside. Sound like a dream come true? It can be when you visit Welsh Hills Inn, an award-winning bed and breakfast inn located in historic Granville, Ohio. Jeff and Bobbi Noe is the couple behind the Inn, a place that many people have called “The” place to stay in Central Ohio. According to Jeff, the best time to visit the Inn is from May through early fall, when guests can relax and enjoy the outdoor heated pool and courtyard garden. Also on site are professional massage services offering aromatherapy, tension relieving hot river stone therapy, Swedish relaxation, deep tissue massage, and reflexology in the Inn’s Trem Pell Studio Spa. Welsh Hills Inn is a bed and breakfast in Granville, Ohio. The Noes say they were inspired to open the Welsh Hills Inn after they caught the “bug” of staying in small bed and breakfasts and inns while traveling throughout New England, more specifically Martha’s Vineyard and Maine. Keep an eye out for special Winter Getaway Packages as well as upcoming Murder Mystery events. They’ll also introduce a new Professional Photography Package. “This is a great way to capture those special moments with your loved ones in a beautiful, natural setting while you’re here as our guests,” says Bobbi. The photos are available for special events such as weddings, graduations, reunions, and other celebrations, and are taking by one of The Inn’s professional photographers in a variety of settings of your choosing. Each session will last for approximately an hour and will results in 75+ quality images that are delivered electronically. The Welsh Hills Inn is located at 2133 Cambria Mill Road in Granville, Ohio. It’s approximately 30 minutes from downtown Columbus, Ohio State, and the John Glenn Columbus International Airport. To learn more about The Welsh Hills Inn or to book your stay, visit http://www.welshhillsinn.com/. You can also follow along on Facebook, Twitter, and Instagram.